I mentioned a while ago (see the post here) that I had been selected for the regional finals of a French national competition called Les Timbrés de l’Orthographe, to find the people in France who master French grammar the best. 20,000 people entered the competition and 10,000 were chosen to attend the regional finals in 19 regional centres. I had to go to Toulouse on Saturday 9th April. Having decided to make a day of it, we left home early under cloudless skies on the day in question. Toulouse is about 100 km drive from here and parking, as in all large towns, is a nightmare. However, we found a place in the multi-storey car park at the main station (Gare Matabiau) and walked in from there. I’ll do a sightseeing post later on, complete with photos. During lunch at the covered Marché Victor Hugo, I tried to remember the last time I had sat a formal exam. First, I thought it was during my MBA in 1990. Then I remembered that I had entered the MENSA exam in autumn 1991. But that was definitely the last time I had been in any situation that one could call an exam. Why is queue a French word? Those of us convoqués for the regional finals of Les Timbrés de l’Orthographe had to turn up at the Université de Toulouse Capitole, close to the city centre, at 13h30 sharp. Although I got there early, a crowd of hopefuls was already queuing in the French style, i.e. in totally disorderly fashion. The French have no idea how to queue. Equally, the organisers had no idea how to ensure that everyone queued in the right place. They should have put up signs – A-D, E-H etc – but everyone just crammed in front of the tables and it was impossible to see where you needed to be. As a result, there were numerous sub-queues and snakes of people trying to get to the right place. However, the delays meant that there was ample opportunity for people-watching. Most people were representative of the French middle classes; I suspect many were teachers. There were also a few obvious eccentrics and some to whom this experience clearly meant a huge amount. One gentleman in the queue near me spent the time mugging up his French verbs in a well-thumbed primer. ‘Don’t you think it’s a bit late?’ I asked him. I suspect that this was one of the most important days of his life. I hope he gets through to the final. After registering, we filed into one of the university lecture halls. It was probably state of the art in the 1970s, when it was built, but it was now looking a little shabby. A bit later than programmed (nothing in southwest France ever starts on time), the organisers took up their places at the front and we were off. I almost fell at the first fence. I managed to put my name in the right boxes (already an achievement), but then puzzled over the box that said ‘ville’. Did this mean the town of residence or the town in which the exam took place? To start with, I chose the latter, i.e. Toulouse, but on looking at the paper of the woman in the row below mine (strictly cheating, I suppose), I realised that they meant ville de résidence. The exam was in two parts. The first part consisted of 30 multiple-choice questions, delivered by video, relating to French grammar. You had 15 seconds to answer each one. Some of them I could answer first off, others I simply had to guess. Fifteen seconds isn’t long in your own language; it’s a nano-second in a second language. I stumbled through it as best I could but had to make a lot of guesses. The second part was a dictation (dictée) delivered on video by the patron of the contest, Philippe Delerm, a well-known writer. This is where the fun really started. His delivery was mumbling and difficult to follow. A chorus of protest rose from the 300 or so folk assembled in the lecture theatre. I was glad I wasn’t the only one to find it hard. The organisers re-wound the video; no good. Why isn’t riot a French word? It’s easy to see how the French Revolution started. These respectable, middle-class burghers were on the point of rioting when the organisers decided to take things in hand and deliver the dictée themselves in real time. It all started well, at least from my point of view, since the woman who read it did it in received French pronunciation. However, this caused further aggravation since most of the other contestants were born and bred in the southwest and couldn’t follow her accent. Further choruses of protest arose. Halfway through, therefore, they decided to change to another woman who was Toulousaine and spoke in the regional accent. This was my downfall. The southwest accent is impenetrable at the best of times, even if you’ve lived here for 14 years. It’s OK if you’ve grown up with it. I felt this was a bit unfair, but being a foreigner, I couldn’t protest too much. I would love to know how they got on in the other 18 regional centres. Anyway, I stumbled through to the best of my limited ability. The following Monday, they posted up the correct answers on the official website. As far as I can tell, I got 22/30 in the grammar questions and made 15 mistakes in the (quite long) dictation, most of them after the Toulousaine took over. Not too bad for a foreigner, but I have no expectations of getting through to the next round (500 finalists will go to Paris in June). It was an interesting experience. I did absolutely no revision or mugging up on French grammar beforehand. I figured that it wouldn’t do any good and nothing was riding on it anyway. This was purely for fun (yes, I know, I should get out more). I might have another go next year if they run the contest again. 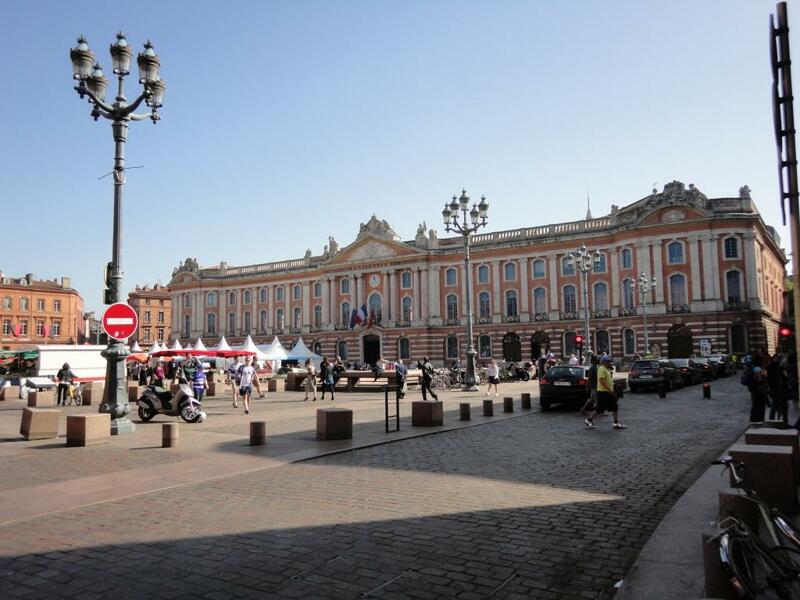 This entry was posted in French life, Language, Places and tagged épreuves, exams, France, Language, Les Timbrés de l'Orthographe, living in France, SW France, Toulouse. Bookmark the permalink. If you ever come up Rocamadour way, would love to meet up with you. We do sometimes get up there when we have visitors. Rocamadour is such a lovely place and then, of course, there is the Gouffre de Padirac. This is about 1.5 hours’ drive from us. We do get to Figeac from time to time and that’s about 45 mins’ drive. Anyway, all this is by way of saying that it would be really good to meet up sometime. If you ever come down towards Toulouse via Figeac/Villefranche de Rouergue please let me know. We are just off the main route. Felicitations! Chapeaux off to you, Vanessa, that was quite something. Thanks, Deborah. 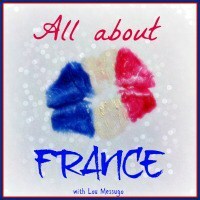 This was yet another occasion when I noted the differences between France and England. Well done, Vanessa. I think it’s an amazing achievement. And it was a very interesting afternoon by all accounts too. Nothing is ever straightforward in this country, it seems! Thanks, Stephanie. It was certainly interesting to see how they bent the rules to allow for the Toulousain accent! Nonetheless, I enjoyed the experience. I am so impressed Vanessa, I doubt if I could sit an exam in English grammar given my recent performance, yet I loved it at school, where do all these bad habits come from? Well done! Thanks, Jo. I am quite sure I won’t get any further, but I was quite chuffed to have got that far. I must have beaten a few French people at their own language. I have to admit, though, that in the first round I had access to dictionaries, grammar primers, the Internet, etc!